own cinquain. Then read it out loud to your own pallies. 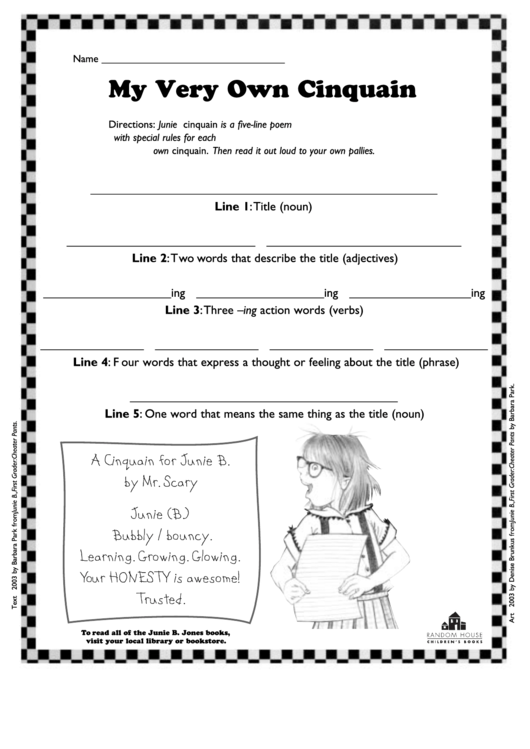 A Cinquain for Junie B.
visit your local library or bookstore.